Meet every Thursday morning 10am – 12pm in Westerham Library. 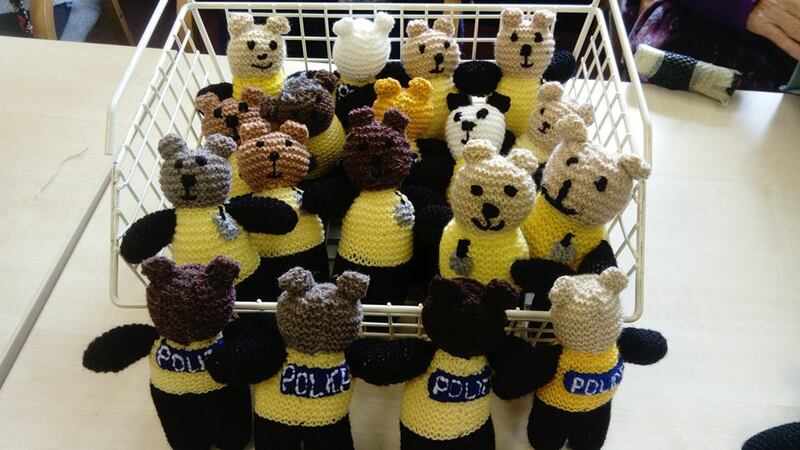 Their recent project has been ‘Bobby Buddies’ Inspector Nick Finnis saw the post about knitted Fireman Sams being given to Westerham Fire Brigade and asked if the Westerham Knit N’ Natter group could knit some ‘Bobby Buddies’ to be used by officers to comfort children in distress. This originally came from an idea by Dorset Police. Inspector Finnis and Sergeant Ballard were very pleased with the donations from the Westerham group.